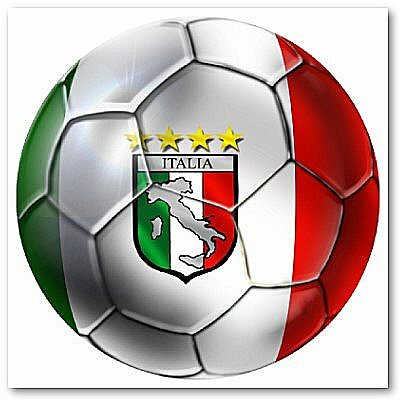 1990 World Cup was held in Italy from June 8th until July 8th, 1990. This World Cup was one of the world cups that was low on goals and high on drama. It was also the lowest scoring tournament so far with only 115 goals scored in 52 matches. Franz Beckenbauer, who was the coach for the German side during this tournament made history by becoming only the second player to became a world cup champion as a coach and a player. Germany faced Argentina in the final but unlike four years earlier, Germany triumphed over Argentina, avenging their defeat four years earlier and winning the World Cup 1990 tournament. This would also mark Germany's third world cup title joining Italy and Brazil as three time Fifa World Cup champion earning the right of being one of the top soccer/football nations in the world. Italian striker Salvatore "Toto" Schillaci, who did not score any goals for his Italian side prior to this world cup took all the headlines of this 1990 World Cup as well as the golden shoe with his 6 goals during this tournament. Italian goalkeeper Walter Zenga also set the record for not conceding a goal in total of 5 matches, or 517 minutes during this 1990 Football World Cup. Maradona was the hero in Naples for helping Napoli win the Seria A title that year but he would also be considered a villain by the Italian people because he helped eliminate the host, Italy. Cameroon came to this World Cup as the biggest surprise underdog advancing all the way to the quarter finals. First Cameroon upset came in the opening round against Argentina when Cameroon won against the reigning champion 1:0. Cameroon's 38 year old Milla had to be pursued out of his retirement to come and represent his country in this 1990 world cup. He came out of retirement but could never imagine the impact he would have by playing in this World Cup tournament. Milla came in as a substitute against Romania, where his two goals helped Cameroon advance into the second round. He was on fire and continued his goal scoring form against Columbia and England helping Africa achieve their first ever world cup quarter final. Cameroon even had the chance to advance by taking the lead against England in the quarter finals. With only 10 minutes left Cameroon was leading England 2:1, however England made the impossible possible as they comeback and scored one goal to force the game into extra time and than a second goal during overtime to win the match 3:2 during the 1990 world cup. 1990 World Cup was a very memorable tournament for the African Lions. Cameroon, Egypt, Korea Republic, United Arab Emirates, Austria, Belgium, Czechoslovakia, England, Germany FR, Italy, Netherlands, Republic of Ireland, Romania, Scotland, Soviet Union, Spain, Sweden, Yugoslavia, Costa Rica, USA, Argentina, Brazil, Colombia and Uruguay.